Experience a sci-fi 3D puzzle adventure game like no other. Immerse yourself in a story of post-alien invasion Earth as one of the last survivors, exploring an alien spaceship that might be your key to rebuilding humanity. -Stunning 3D graphics with highly detailed environments. As good as a console game! Buy the GAME OF THE DAY featured game today and begin your journey to save mankind! Supported Languages: English, German, Italian, Spanish, Portuguese, French, Danish, Swedish, Dutch, Turkish, Polish, Russian and Chinese. All tho players of this game were left with a cliffhanger after they finished this game, it is very awesome maybe this game deserves merchandise or something? I don’t know. anyways I’m super hyped for the next game in this series. And I have a feeling that this games sequel is gonna be released in 2018 aka next year. anyways I have one question. There Is a level called the den but I’m confused. Is it the name of the sequel? Or it’s a level that is still in development. Anyways I rate this game 5 stars. And by the way this game is The only app you made so far. So i guess that your a new game company. Edit#2:you said that your gonna release in December but it’s January now and you didn’t release the den level yet. Can you explain the REAL REASON WHY YOU HAVE BEEN ABSENT AFTER THE LAST UPDATE IN DECEMBER? No excuses PLEASE! Edit#3:THE DEN IS OUT! OH YEAAAAAAAHHHHHHHHH BOIIIIIIIIIII! FINALLY THE DEN IS HERE YAAAAAAAASSSS! Thanks for the 5 stars Isaccey! After purchasing this game it constantly pesters you between puzzle to leave a review, so here you go. It’s horrible and tedious. Sliding puzzles 4 in a row. Move the dot through the maze 4 in a row. Connect the lines side to side 4 in a row. You get the just here? The controls at least on the most current iPhone are spotty at best. And at worst don’t register so you’re constantly tapping the same thing with varied results which is totally frustrating for game play. Have of the challenge of the game is getting the controls to work. Then there’s the “AI”. Your “helper” in the game. It states the obvious usually twice then offers to solve the puzzle. Sure. I’d like to bypass this pos puzzle that is nothing but monotonous. Then the AI informs you it’s going to take a couple minutes to figure it out while you sit and watch the percentage of completion. Why? Who does this benefit? It only serves to slow down the game! The reason I said solve it was to bypass the tedium. And if it’s a column or box puzzle prepare to sit through all four sides one at a time. There’s 15 mins of your life you’ll never get back. In summary. I hated it. If you want a cool game there are many others like The Rooms latest offering which was completely awesome. Do not waste your money here. Arw - we’re so sorry to hear about your bad experience. It sounds like you experienced a bug, that we have fixed in an update, that we’ll release soon. Also sorry that you didn’t enjoy the gameplay’s repetitions, but here are the good news. We’re only a few weeks from releasing a new level that adds 30-40% gameplay time and a whole new range of puzzles. Hope that helps a bit. I’m a big fan of escape the room and puzzle type games, and I’ve played a lot of them (both free and paid). That being said, I’ve never played anything like this. 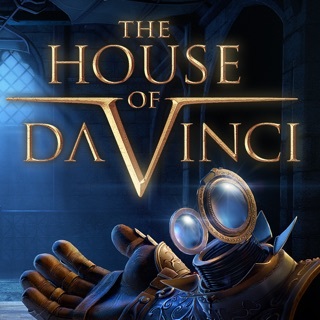 The puzzles are challenging, the story is captivating, and on top of it all it’s a well developed game. The graphics are amazing but one thing I was surprised to notice was the care put into the sound production. When wearing headphones, the sound pans from one ear to the other as you pan the view, making for a more immersive game playing experience. Overall, a great game and definitely worth every cent! As for the repetition that some people complained about, I didn’t think it was too repetitive at all. Yes, you are repeating similar puzzles, but they often get more difficult as you go and they also make sense in the context of the game and the story. Why would an alien race create different mechanisms for the same type of object? Either way, I thought it was great and I am excited to see what the developers have in store!